#ModWeekofLove Challenge! - Hello, Kristina! I personally love Valentine’s day, almost as much as I love a good instagram photo challenge. 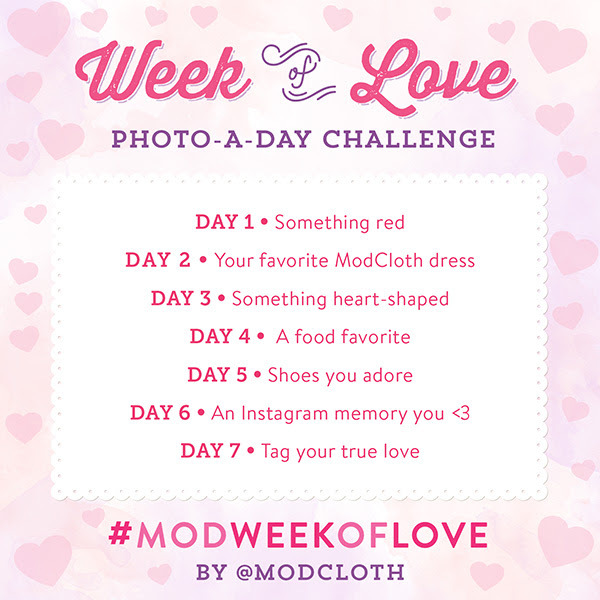 ModCloth is currently asking the Instagram community to participate in a love-inspired ModCloth Instagram Challenge. An excuse to take more photos of yourself, you say? I’m in. I’ve posted the schedule for you to follow in the image down below! Just tag your photos with #modweekoflove and @ModCloth to share the things you love with the ModCloth community and the world! It starts Sunday, February 9th and goes for an entire week! Happy Valentine’s Day! You can submit as many photos as you like, and they’ll also be giving out some prizes over the course of the week. I’ll be doing the challenge… let me know your instagram name down below if you’ll be participating as well. I’ll be back soon with another fun Valentine’s Day inspired post! Hope you’re all having a great weekend! 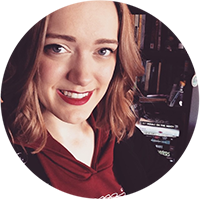 *This post contains affiliate links and I will be compensated if you make a purchase after clicking on them. Look #12: PAX Day One!